A wise man man once asked “if a website exists in the forest of the Internet and no one visits it, does it truly exist?”. I made that up actually, but the point is solid – a website is useless if it has no traffic, and in order to get traffic you need to be listed on Google. You could argue that Google isn’t the only search engine and Bing matters too, and … but you’d be wrong. Google is the search engine that matters, and if you want to get listed you need to play by their rules. Here are 7 crucial tips to get your blog listed on Google as one of the best websites in your niche. The very first step is to verify to Google that you own the site using Webmaster Tools. In most cases, you simply need to upload an HTML file to the root of your domain. This opens up a wealth of feedback and diagnostics tools, such as search queries people are using to access your site, indexing status, and top pages. Webmaster Tools is your instrument panel; without this, you’re flying blind. Backlinks – that is, other sites linking to your domain – remain the primary indicator of how highly your site should be ranked in the Google index. 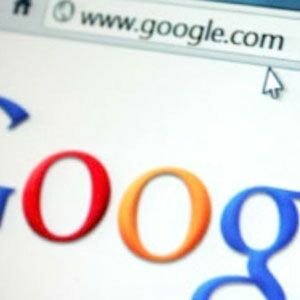 It’s also how Google discovers new websites if it hasn’t been explicitly told – the GoogleBot is scanning away, when it comes across a link to a domain it hasn’t looked at before, and adds it to the queue to look at next. Even if you have told Google about your site using Webmaster Tools, a good selection of varied backlinks is the best way to start off on the right foot. Don’t just push for social links from viral posts, try to get other bloggers linking back to you too; become active in some forums and get some links there; see if you can guest blog on an established site. You can use OpenSiteExplorer to see check your back links. And whatever you do, don’t ever buy links (see No Cheating, below, to understand why). This is a huge topic all of its own, but the easiest way to start is with verified Authorship. You’ll need a Google Plus profile, and if your site is deemed worthy enough you should start getting your name highlighted next to your posts. 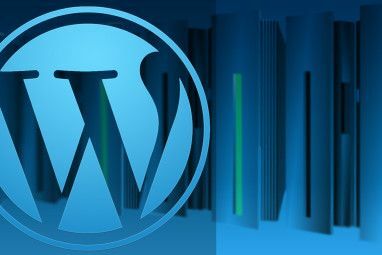 This post explains how, or use the WordPress SEO plugin. Note that just having correct authorship doesn’t guarantee you’ll be indexed or ranking any better. Another one to try is reviews markup as I detailed here How to Add Rich Snippets for Reviews to Your Wordpress Blog How to Add Rich Snippets for Reviews to Your Wordpress Blog Read More , and the more complex video markup Getting Rich Snippet Video Previews Into Your Search Results Getting Rich Snippet Video Previews Into Your Search Results Producing your own video content is great. Search engines and users alike love video content. It increases user engagement - keeping visitors on your page - but moreover it's just makes your content more interesting,... Read More if you host your own video content, or using the Easy Recipes WordPress plugin for recipe markup. Don’t forget to use the Rich Snippet Testing tool to check your code, particular when the certain format requirement like recipes change a lot. Use a sitemap generator to make Google’s job easier – tell them exactly what pages you have on your site, when they updated, and how important they are. Again, I use WordPress SEO plugin for this (featured on our Best WordPress Plugins page). Once you know the URLs for your sitemap, don’t forget to submit them to Webmaster Tools. Each time something new is published, your plugin or CMS should be also be able to “ping” Google to say “hey, I published some new stuff, care to check out sometime pretty please?”. There’s no guarantee they’ll get to it right away, but you’ll be far more likely to be indexed than if you had done nothing. Google knows everything; if you copied that article from Wikipedia, believe me –it knows. So many times I’ve seen people in our Answers forum ask why their site doesn’t get visitors, yet when I check out the page the only original content is single paragraph posts, borrowed from various sources, or embedded YouTube videos with a caption of “hey, check this out, it’s really funny”. No. Just, no. You’re not offering me anything. You haven’t put any effort into this, and why do you think anyone should care about what you found funny on YouTube? I’m not going to link to your site, I’m not going to share your content, I’m going to leave immediately, and Google is going to know it’s crap that isn’t worth ranking. Offer something of value – offer your creativity, offer your expert knowledge, offer your divine collection of original haiku inspired by a trip to Mt Fuji – and Google will reward you in kind with the visitors you deserve. Write well, and write a lot – but concisely. Believe it or not, there’s a team of manual site checkers who work for Google; if your site is flagged for some reason, or quickly rises in the rankings, it will be checked over by a pair of human eyes according to quite a lengthy set of quality guidelines. The point is that if your site looks “spammy” to someone checking it out, a manual spam action may be applied and your site may be de-listed. One important aspect of this is the number of advertisements displayed, particularly above the fold. If ads are the most prominent thing a visitor to your site sees, you’re doing it wrong. At least in the initial stages, try to stay from ads at all. I shouldn’t have to say this, but if you’re buying backlinks or using comment spam services, expect your domain to be banned fairly soon. You might think you’re being sneaky with something that could never be traced back to you, or using some technique that Google doesn’t know about yet – but in the end they’ll always find you. The trouble is that 2 years down the line when you actually have a respectable site and doing things properly, you’ll get burned for mistakes you made at the start. Yes, I speak from experience. Do you have any more tips for getting listed in Google? Share them in comments, and know how awesome you are for sharing your knowledge. Explore more about: Blogging, Web Development, Webmaster Tools. Some of our clients are starting to get listed on Google by URL optimization. URL optimization means that you choose your number one keyword as the URL domain name for your blog. If your website's domain name matches the exact keyword phrase, then is it makes your blog much easier to rank on Google search. "if a website exists in the forest of the Internet and no one visits it, does it truly exist?" by the way thanks for the tips. I'm a little concerned about how old mistakes coming back to bite you. As far as I know, I haven't done anything that might be questionable. But then again Google likes to move the goal posts. By chance James, did you write about that experience you had with Google in a previous post? I wrote about a friend's experience, but quite similar, yes ;) //www.makeuseof.com/tag/a-day-in-the-life-of-a-blackhat-seo-circa-2010/ - the result was his network of sites being completely deranked in a single day, thousands of dollars of daily revenue being wiped out. These are great tips. 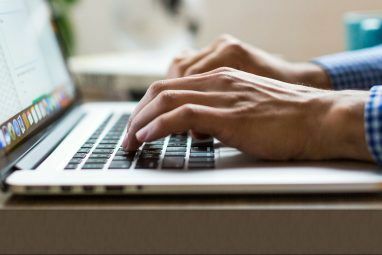 I think if any new blogger is starting out and can't take the time to read any other SEO related article for what they should be doing SEO-wise, this article would make for an excellent list to bookmark. I think you hit the key critical points. As a matter of fact, lately the backlink issue has been getting worse. Word on the street is that it isn't only purchased backlinks, but what they're calling "unnatural" backlinks - multiple links from "sister" sites, multiple linkbacks from the same author to the same site, etc. Google's getting smarter, so playing those black-hat games - or even grey-hat games, are not a good idea. SEO is still really important - for all the reasons listed in this article and more - but it's just a matter of staying on top of things (which is time-consuming in itself), and as James said - focusing on not just creating quality content, but quality content that people will want to link to and talk about online. That's the key. Anyway - that was an enjoyable read. Thanks James. Oh Yeah, this article is going into my bookmark wordpress folder! 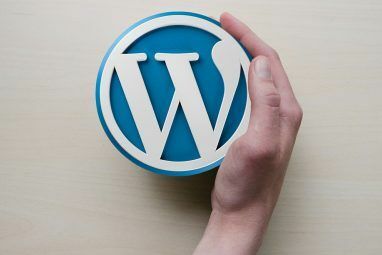 I found wordpress tips pages by accident here at MUO and I am glad that I did because from someone who has used wordpress.com and now started with wordpress.org, there is a HUGE difference. And making it a success as I wish to, is truly taking tiime in building and learning. Thank You James for your article as it offers more detailed info about SEO that differs from other articles; real good advice. Since I became a regular at MUO, you guys never cease to amaze me at the amount of content you have on practically EveryThing tech related! MUO is always my first place go-to-place to look to for answers and reads. One tip I always tell e-business owners is to understand that SEO "gurus" might love it when they write all about the myriad features and advantages of their products/services, but their customers really want to read about the benefits to them. The goal of most websites is conversions of some sort. It's important to learn the difference between merely providing information and actually enriching the customer's experience. In that regard, good (and succinct) content should always win out when creating new posts/pages. Keywords are great, and there's a place for those on each website, but Google is more likely to reward sites that stress benefits over features. Plus, benefits are more interesting, and interesting things are more shareable.